120 mg of Clinically Studied BipResponse DIM Complex Per Capsule! Hormone Balance for Women of All Ages! Healthy hormone balance is crucial. Without it, your mood, weight, energy levels, and overall well-being seem thrown off and out of sync. That's why you need CuraMed + DIM Complex. 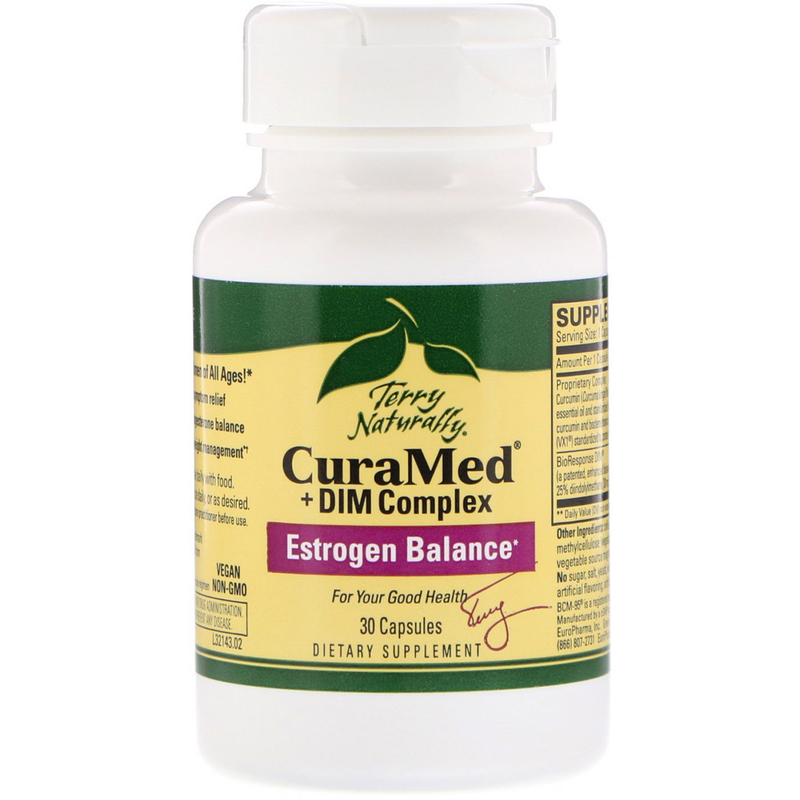 BioResponse DIM Complex: Clinically studied BioResponse DIM is better absorbed, making it more effective than ordinary DIM for estrogen balance and detoxification. 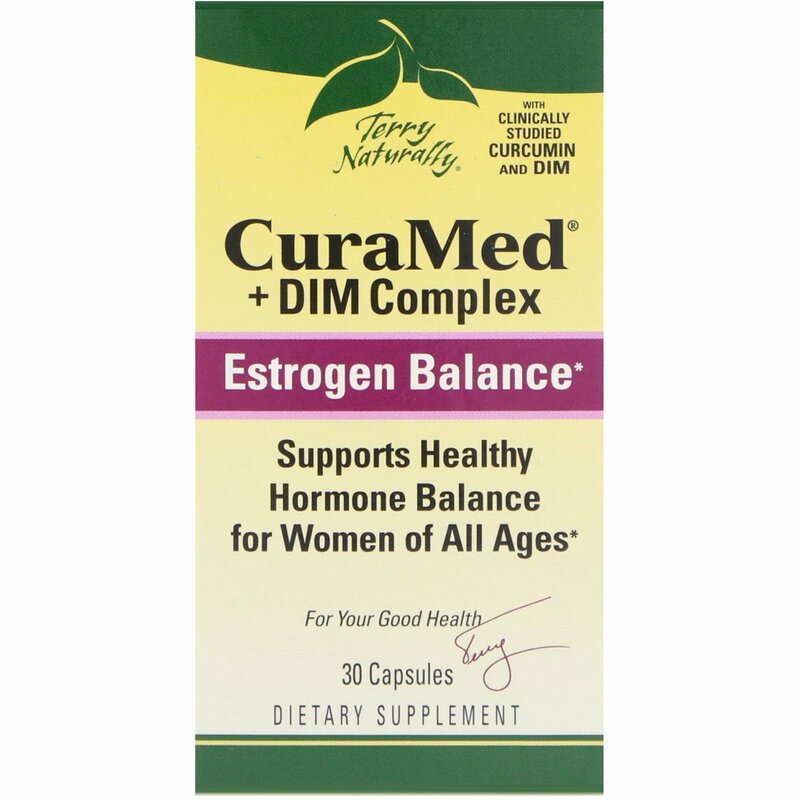 It eases mood swings and cramping of perimenopause and PMS, supports healthy metabolism, and protects healthy breasts cells. You would need to eat 2 lbs. of broccoli to match this level of DIM. 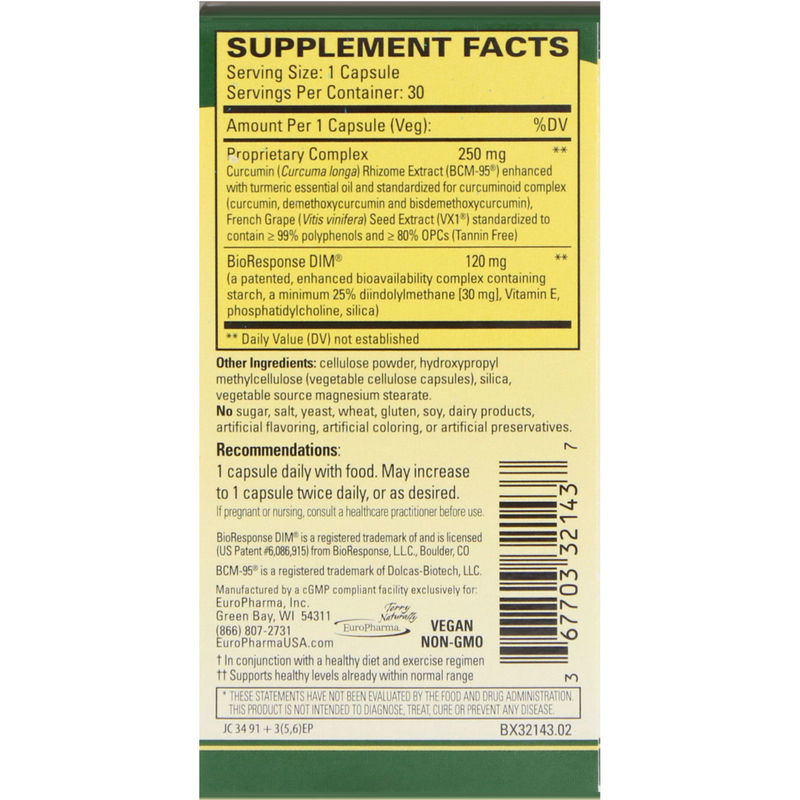 Curcumin: This clinically studied, active compound from turmeric supports healthy liver function to help effectively eliminate toxins that mimic estrogen and contribute to estrogen dominance. French Grape Seed VX1: This tannin-free extract is standardized for only highly absorbable, low molecular weight oligomeric proanthocyanidins (OPCs). It supports healthy hormone balance, aromatase levels††, weight management† and better mood. †In conjunction with a healthy diet and exercise regimen. ††Supports healthy levels already within normal range. 1 capsule daily with food. May increase to 1 capsule twice daily, or as desired. Порошок целлюлозы, гидроксипропилметилцеллюлоза (растительные целлюлозные капсулы), кремнезем, растительный источник стеарата магния. Нет сахара, соли, дрожжей, пшеницы, глютена, сои, молочных продуктов, искусственных ароматизаторов, искусственных красителей или искусственных консервантов. Произведено cGMP-совместимым предприятием исключительно для EuroPharma, Inc.